This excellent itinerary will include a visit to the famous Cape Sounion, with a scenic drive along the beautiful Saronic Gulf. The next day, you’ll have the opportunity to visit ancient Delphi, with a beautiful scenic drive and time for shopping at Arachova. The magical seven-day cruise begins on day three, and you’ll have a full week sailing around the Aegean and visiting outstanding islands and regions of the Eastern Mediterranean, including Istanbul, Mykonos, Patmos, Kusadasi, Rhodes, Heraklio and Santorini. 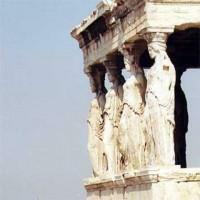 An excellent city tour of Athens will follow at the end of the cruise. This is a wonderful opportunity, especially for first-time visitors to Greece, to experience the diversity of the country in a short period of time. It's also an excellent introduction to cruise life, with outstanding ports-of-call and quality time at each destination. Cape Sounion Temple of Poseidon; Only an hour's ride from Athens, one of the most intriguing sunsets in the world! Arrival before noon at Athens International Airport. You will be met at the airport and transferred to your selected hotel in central Athens. Early afternoon, depart for a drive along the beautiful Attika coast to Cape Sounion, the most southerly point on the mainland, for a guided visit of the Poseidon Temple, standing majestically on the cliff, 60 meters above the Aegean Sea. Evening arrival back to your hotel. Overnight Athens. Drive through the plain of Beotia, passing through Thebes, Levadia and Arachova and arriving at Delphi, situated on the slopes of Mount Parnassus. The visit to Delphi, home to the Oracle and Sanctuary of Apollo Pythios, will include the Treasury of the Athenians, the Temple of Apollo, and the Museum of Delph, which houses the renowned bronze Charioteer. 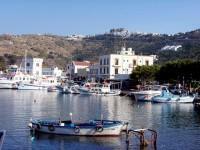 Lunch will be taken in modern Delphi Town, and the return to Athens will include a short stop at Arachova for shopping. Return to Athens in early evening. Overnight Athens. We will await you upon disembarkation at the port and transfer you to your hotel, where you can leave your luggage and go for a stroll through the city. The main shopping areas of Athens are Plaka, Monastiraki, Ermou Street and the upscale area of Kolonaki. 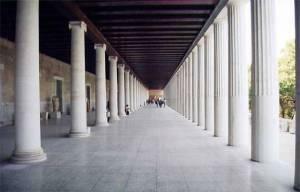 Athens is a wonderful walking city, and these areas easily connect to each other without need for public transportation. All of the areas have plenty of tavernas and cafes, and you're never far from a cup of coffee! Overnight Athens. After breakfast we depart for an orientation tour of Athens with our professional guide, passing by the most important ancient and modern monuments of the city. 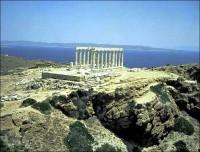 The tour will include the Acropolis and the New Acropolis Museum. Return to your hotel with the coach, or continue your own explorations of the old part of the city, the Plaka, where you'll find beautiful old homes and shops, streets closed to traffic (heavenly! ), and plenty of traditional tavernas. Overnight Athens. Meet our representative and transfer to the airport for your international flight home. * All tours are organized by a Tour Organizing Company. Cruise fuel surcharges, if any, are not included. Note: For Day 2 of this Itinerary, it is possible to replace Delphi with the Argolis Tour (Corinth Canal, Mycenae, Nafplion, Epidaurus).